‘WooCommerce Advanced Messages’, a pretty broad name isn’t it? I had to really think about a name for this plugin, because you can do a lot with it, and it is broad. In this post I will take you through a walk-through of the plugin, what it does, and how it works. 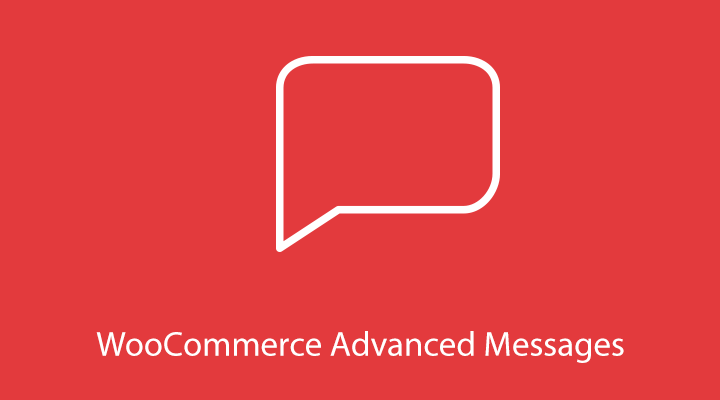 WooCommerce Advanced Messages allows the store owner to add ‘messages’ in different places within your website. ‘Messages’ can still be a little broad, but I will explain in more detail later in this post. Focussing first on the ‘Advanced’ part of this plugin. There are some different plugins out there that will allow you to add specific messages or notices on very specific positions in your website. But those plugins lack the ability to be customizable. This plugin excels in customizability. You can set your own conditions for when a message should be shown. Due to the great options that are available, this will work in tons of situations that have not been possible before (and without the need of a developer!). 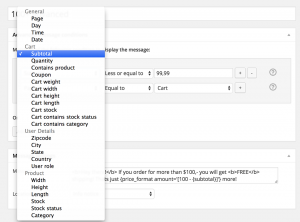 You can add as many condition and condition groups as you need giving you the ultimate flexibility in configuring the messages in your online store. There are several different kind of messages available. For example, you can easily select to add a ‘store notice’ to your website, which will be completely according your website’s theme style! If you just want a normal text/HTML message that is possible too. There are a lot of Smart tags available; too many to be mentioned here. 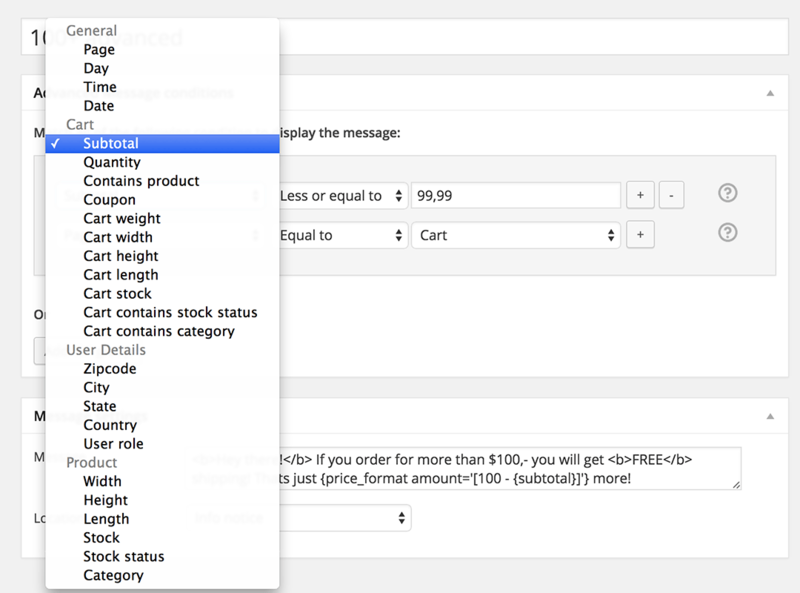 All of the available tags can be found in the WooCommerce Advanced Messages Smart labels docs. There’s already a nice example in the Customizability above. In that example there will be a notice shown when someone’s order is below $100. By offering them free shipping when their order is above $100 you can increase your Average Order Value. Additionally you can add another condition to only show the notice to people that have $75+ in their cart. This way people who only have $10 in their cart won’t see the notice. Because, lets face it, converting someone from a $10 order to $100 is way less likely than someone who is already close to the $100 mark. Want this order by …? 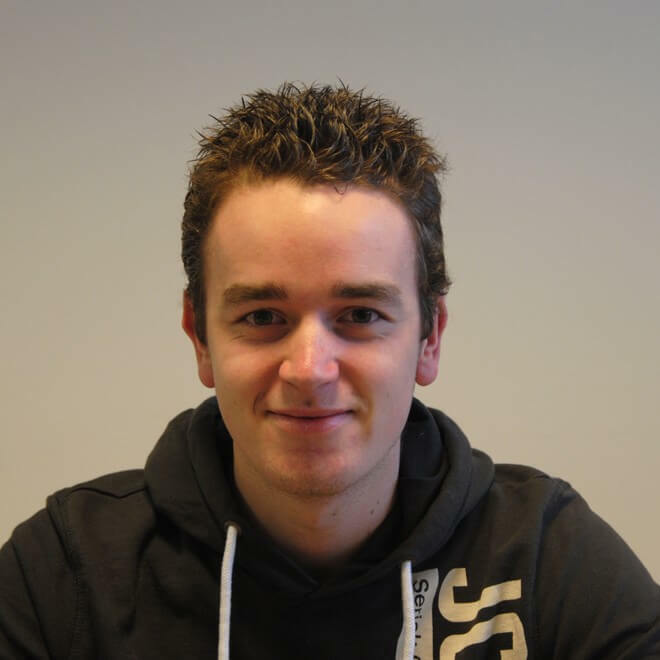 Hey Jeroen, i’m using a couple of your plugins. Advanced Free Shipping and Advanced Messages. Fantastic plugins! Regarding Advanced Messages, it would be great if we could pick more than one location for a banner to appear. Currently I need to duplicate the conditions and with each copy I choose a different location. If you’re thinking about updating soon it would be great if we could make a set of conditions and choose multiple locations for the message to appear. Thank you!